"To 'love thy neighbor as thyself' is thus the basis of true civil liberty in the Western world. It requires us to respect in all men and in ourselves the rights of life, home, property, and reputation, in word, thought, and deed." 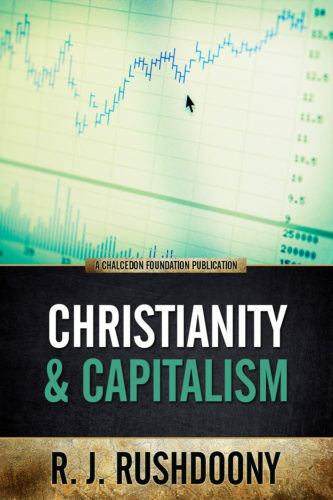 In a simple, straightforward style, the Christian case for capitalism is presented. Capital, in the form of individual and family property, is protected in Scripture and is necessary for liberty.